Hello, lovelies! There's no denying that I'm into dresses nowadays. Is this one of the signs of aging? Lol! When you get old, you turn to comfort over anything else. I chose to wear dresses now over trouser whenever I have a business appointment. If you have seen my previous post here, you probably have an idea that today's post is the second installment of my outfit posts wearing the batch of dresses SAMMYDRESS sent over. 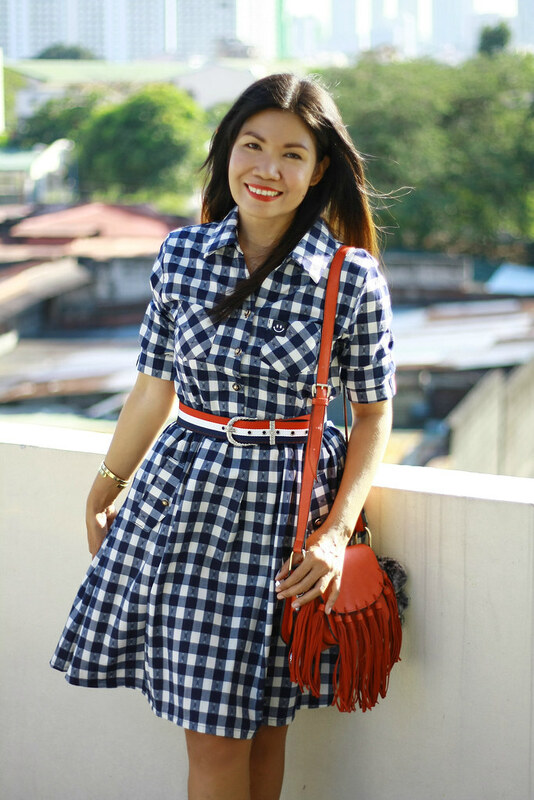 This checked long sleeve shirt dress with belt caught my eye because of its checked pattern. It is not just a plain checked pattern but over it, there's some tiny embroidery; made this simple pattern to a fun yet sophisticated dress. This is a long sleeve but I opted to roll the sleeves up but I let the 3 stripes visible. By the way, the 3 stripes on the sleeves are pleasing to the eyes as it also matches exactly with the included belt. 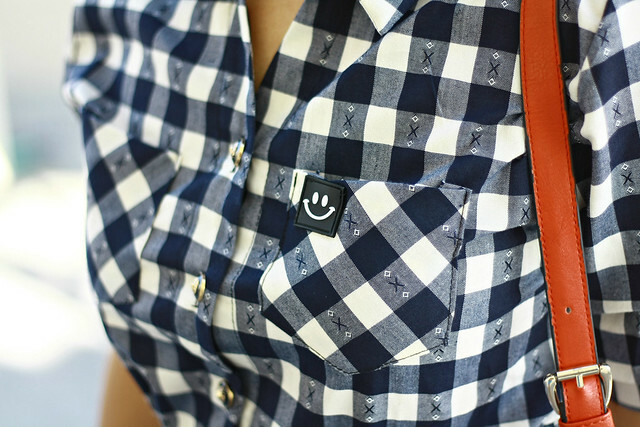 It has 2 front pockets and it has this small rubber patched with the embossed smiley icon. I find it fun, though. It's like reminding you to have some fun and don't take all things seriously. :) Also, the material have a nice quality and it is true to size.